You may be interested to know that the site you are viewing right now is a Quick on the Net website. In other words, you can create a website like this, using our website templates, or build your own website from scratch using our site builder tools. We are talking about QuickontheNet.com, the unique website builder and web templates service from Quick on the Net Limited. Now it's your turn. Are you ready to show what you can do? Are you ready to increase your sales and drive more customers to your business through the internet? The possibilities are simply amazing and it's great fun. 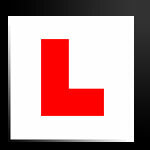 Subscribe today, get started and build a driving school website. And remember, web hosting is included as part of this unique service.